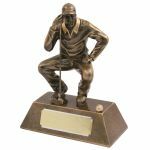 At Alpha Gifts and Awards we offer an extensive selection of golfing trophies , giving you a wide range of choice when it comes to selecting awards for your golfing competition! 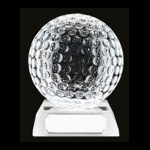 From glass golf ball trophies to statuesque awards, there’s a golf trophy for all requirements at Alpha Gifts, whether you’re browsing for a first place award or want to stock up on trophies for the year! 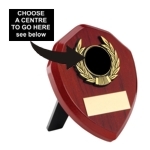 A personalised award means so much more to the recipient, reminding them that their hard work and effort pays off! 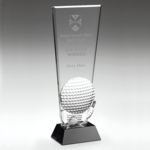 So why not go that one step further and get your golf trophy engraved with a message? 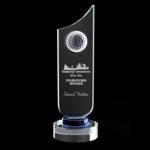 We use the latest equipment to ensure a high quality, professional finish and we guarantee that you, as well as the recipient, will be thrilled with the result! 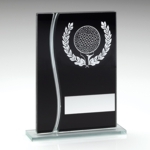 There’s no need to spend a fortune on golf awards. 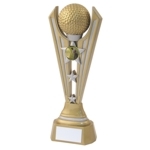 At Alpha Gifts we sell high quality golfing trophies at great prices, so everyone’s a winner! 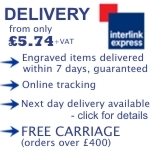 Have a browse of our range below, all of which are available for delivery in 7 days – even with engraving! If you would like any more information please don’t hesitate to call us on 01823 288582.